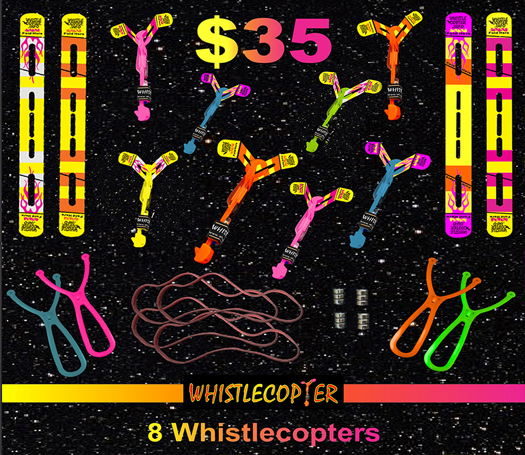 This great deal of 8 Original Copters with our exclusive Viper LAUNCHER and 7 inch red rubber band in assorted colors is the only way to buy. 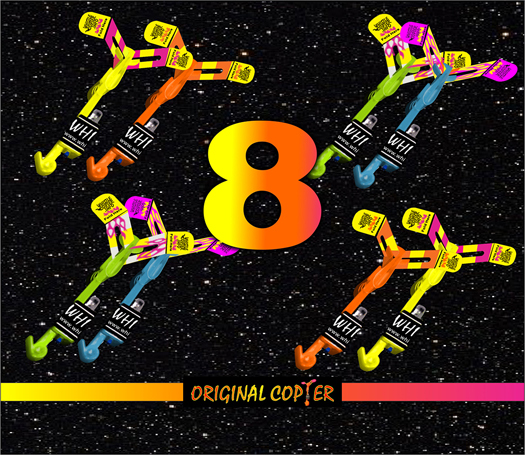 Each Originalcopter with our NEW SUPER GLOW WINGS for ORIGINAL COPTER also each copter will have a different wing design so they all look different coming down from the sky !!! 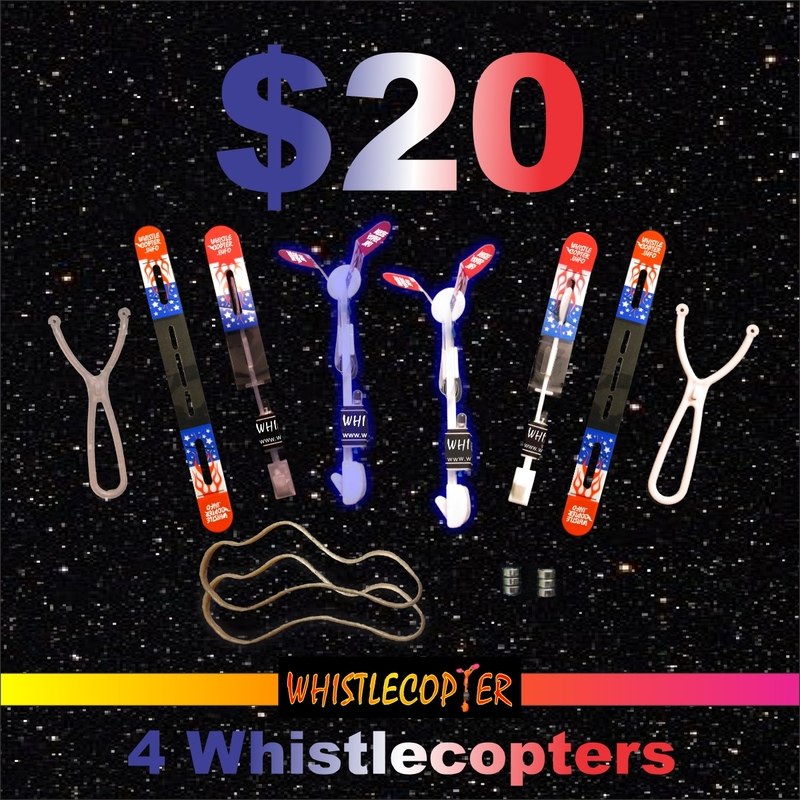 Each Original Copter is individually wrapped in it’s own package with instruction card, seven inch red rubber band and batteries ready for a great flight, also only Original Copter has different wings in each four pack to get a new experience with each new copter. 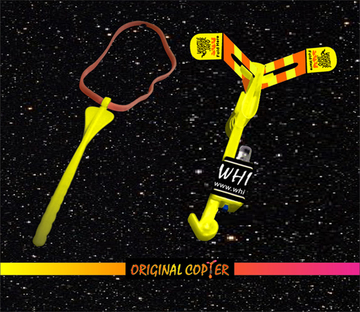 Original Copter has a seven inch red rubber band to attain maximum shooting height. Add extra battery packs for the amazing price of fifty cents per battery pack. 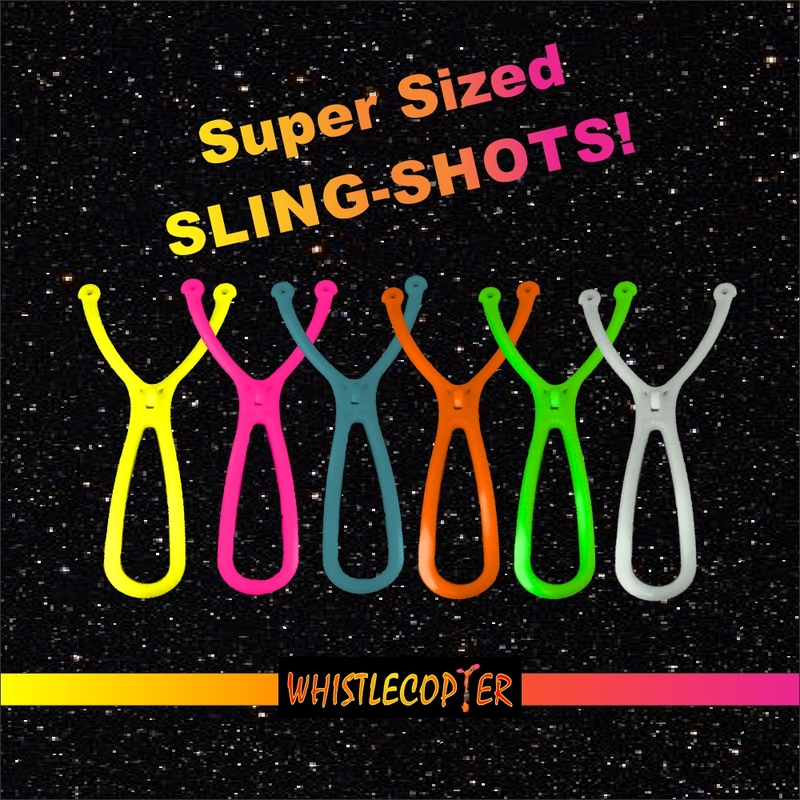 If you are a Original Copter enthusiast get yourself the maxi Slingshot Launcher with 8 inch rubber band which is designed for the ULTIMATE flight experience. 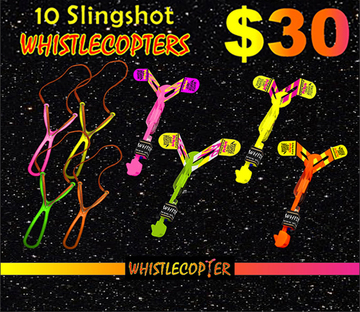 The Maxi Slingshot Launcher produces higher flights while keeping your fingers from getting fatigued. 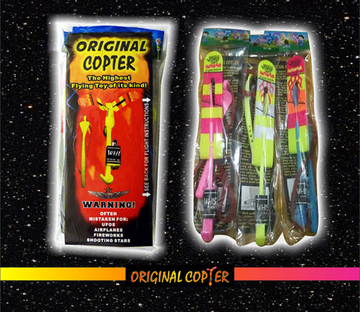 Our Original Copter cannot be copied by the cheap knockoffs. 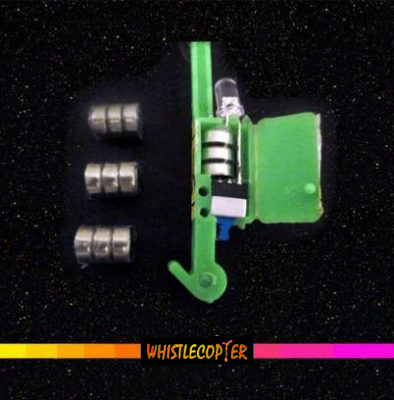 The height that our Original Copter achieves is because of the quality plastic that is used in all aspects of the Original Copter . Our wings are much thicker and maintain the crease very well. Our wings will never flap in the air hence our copter spins down after hovering in the air at the maximum height of 200 feet. 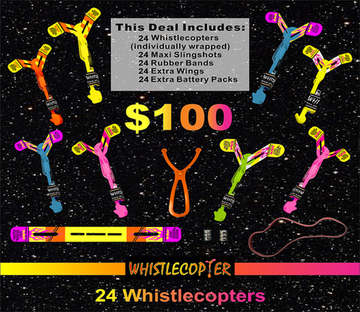 If you would like to become a vendor and make money selling our OriginalCopter please call 305-785-4048. We do not have vendor wholesale prices on our site. 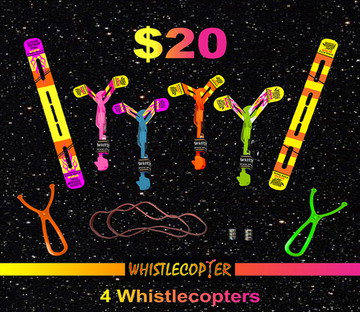 If you want to use them for personal enjoyment buy them right here for the incredible price of $12.00. 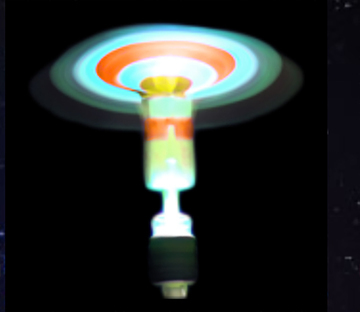 Also please remember Original Copter has the brightest led light and we never use old batteries in our copters as many of the cheap knockoffs do. 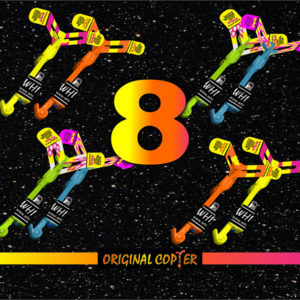 Please enjoy the night fun with your OriginalCopter! 2. 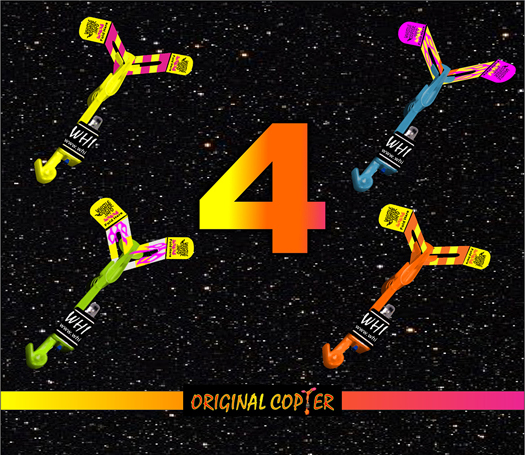 Four differently designed wings in each four pack so you will get 4 different looks. Fold the wings, check our Professional Wing Folding Video !! 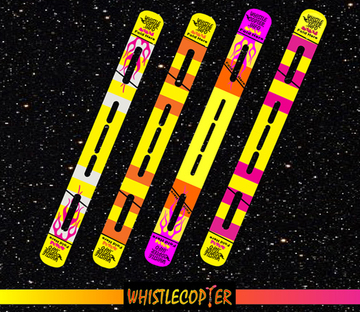 On our home page Whistlecopter.info to attain highest flights. 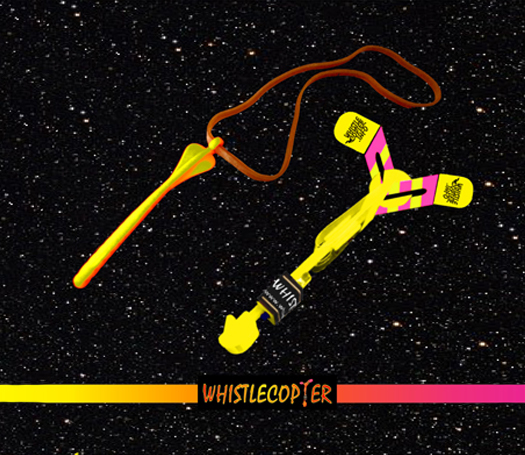 Launch the Original Copter into the wind with the plastic launcher, when it reaches the maximum height it will come back spinning in the air with its blades open so you can catch it. Read the instruction card in each package carefully before starting your first launch.